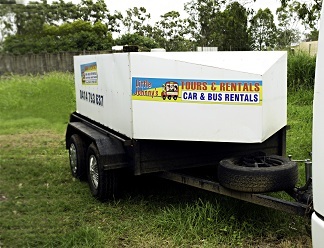 Fully lockable luggage trailers for use with 12 seat mini bus and 25 seat buses. 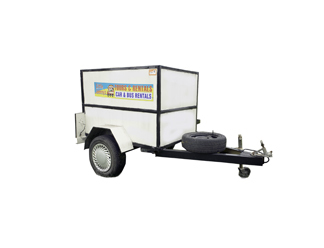 Medium lockable, dual axel load bearing trailer, caters for a 25 seater bus. 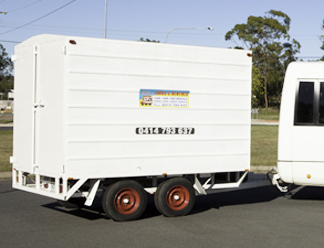 A large trailer with a GVm of 2 tonne. Most large 4WDs can pull this versatile trailer. Also works well with the 33 seater bus.